Respiratory failure (RF) is a prevalent condition whose presence in elderly patients may be complex and require specific and specialized intervention. A multidimensional evaluation is necessary to choose the best treatment, taking into consideration functional capacity and frailty. Cardiogenic pulmonary edema, community-acquired pneumonia, pulmonary embolism, bronchitis, and acute asthma are the main causes of RF in this patient population. Despite the limited availability of studies and data, including systematic reviews, regarding RF treatment in elderly patients, in this update, we synthesize data to guide diagnosis, treatment, and health care decision making. Dr. Britto is supported by research grants from CNPq (Brazilian Agency) and FAPEMIG (Minas Gerais State Agency). Raquel R. Britto, Danielle S. R. Vieira, Fernando A. Botoni, Adriana L. A. S. Botoni, and Marcelo Velloso declare that they have no conflict of interest. WHO, 2014. WHO Study on global AGEing and adult health (SAGE). http://www.who.int/healthinfo/sage/en. Accessed 10 Jan 2015. 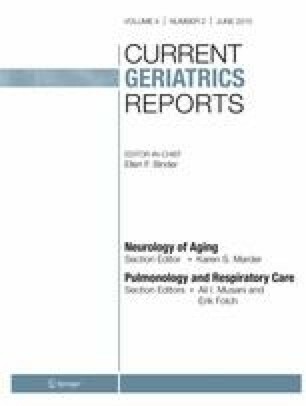 This World Health Organization report provides updated information on aging and health worldwide. Future Hospital Commission. Future hospital: caring for medical patients. A report from the Future Hospital Commission to the Royal College of Physicians. London: The Royal College of Physicians; 2013. Available from: https://www.rcplondon.ac.uk/sites/default/files/future-hospital-commission-report.pdf. Accessed 26 Aug 2014. Global strategy for the diagnosis, management and prevention of COPD, Global Initiative for Chronic Obstructive Lung Disease (GOLD) 2015. Available from: http://www.goldcopd.org/ (assessed february, 2015). This is the most important and updated site for COPD management. Documents and guidelines can be assessed.